Poikela, Esa. 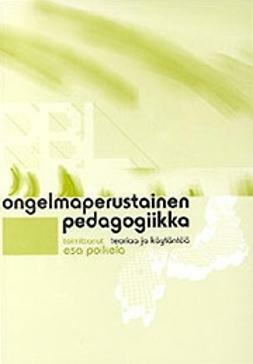 ;Nummenmaa, Anna Raija : Understanding problem-based learning . Lataa ja lue heti. 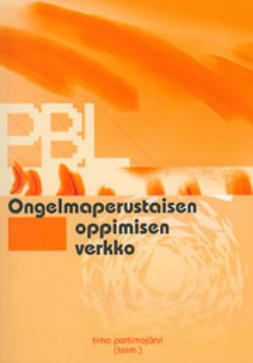 Problem-based learning (PBL) arrived in Finnish higher education when the Faculty of Medicine at the University of Tampere began to implement the principles of PBL during the 1990s. As a result of this development, a number of researchers working in the field of educational science became interested in problem-based pedagogy, both as a field of study and as a means of bringing about changes in pedagogical practices. 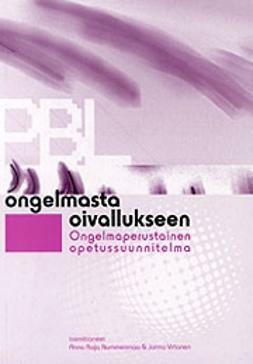 This provided a fertile starting point for the ProBell (Problem-Based Learning in Finnish Higher Education) research group which was set up by researchers interested in PBL in January 2001. 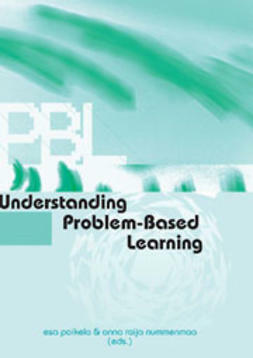 The use and research of PBL has expanded rapidly during the last ten years. PBL has now became a fundamental principle of curricula and their development in a range of fields including early childhood education, health and social welfare, business, forestry and engineering. The curriculum development work has also resulted in universities and polytechnics receiving national awards for quality. The aim of this book is to present the main results of the research and development project 'Problem-based learning as a strategy for developing knowledge and competence in the context of education and work'. The project was funded as part of the national research programme Life as Learning (LEARN) organised by the Academy of Finland. The content of this book is organised according to the original research tasks undertaken by ProBell. The articles offer examples of the research and development work ProBell has carried out in order to understand problem-based learning more fully. This book is written for students, teachers, developers, researchers, trainers and anyone else who is looking for new insights and pedagogical solutions to improve and advance the quality of learning and knowing, both in the contexts of education and of working life. 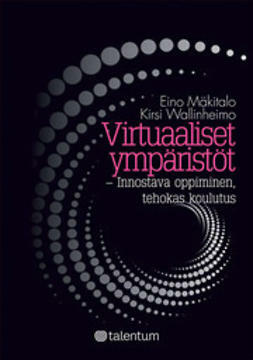 A printed copy of the book can be ordered at Tampere University Librarys virtual bookstore. Poikela, Esa. 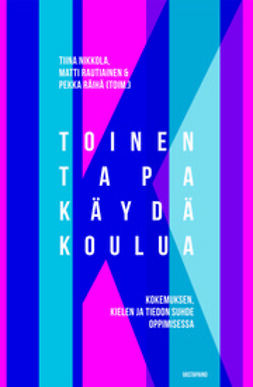 Nummenmaa, Anna Raija Poikela, Esa Nummenmaa, Anna Raija Poikela, Esa. Barrett, Terry. Lindén, Jyri. Alanko-Turunen, Merja. Poikela, Esa. Poikela, Sari. Portimojärvi, Timo. Lähteenmäki, Marja-Leena. Alanko-Turunen, Merja. Kaksonen, Helvi. Öystilä, Satu. Poikela, Esa. Poikela, Sari. Nummenmaa, Anna Raija. Karila, Kirsti. Poikela, Esa. Poikela, Sari. Nummenmaa, Anna Raija. Karila, Kirsti. Virtanen, Jorma. Kaksonen, Helvi. Poikela, Esa. Poikela, Sari. Poikela, Sari. Lähteenmäki, Marja-Leena. Nummenmaa, Anna Raija.